Making your own costume, rather than buying one is usually more affordable, and more fun! We tend to spend a lot when it comes to celebrating Halloween. According to the National Retail Federation, Americans will spend a total of $8.4 billion for Halloween 2016. The same report shows that the average American will spend around $82.93. Multiply that number by the number of people in your household and you can see how quickly it can get out of hand. The good news is that making homemade customs isn’t that hard or expensive depending on what you want to make. Best of all, when you make your own costume, you can be sure that no one else will be wearing the exact same outfit as you. 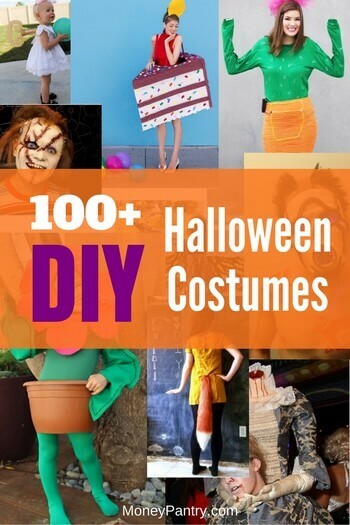 That’s why we’ve put together a list of over 100 homemade Halloween costumes that are mostly easy and cheap to make. In terms of difficulty, the costumes in this list vary. Some of them are super easy to make and don’t even require basic sewing. On the other hand, some do take a bit of artistic talent and craftsmanship – so pick the one that matches your skill level. But, don’t worry, none of them are too tricky and most include an easy-to-follow, detailed tutorial. Take a look at these awesome Halloween costume ideas and get some inspiration for this Halloween. 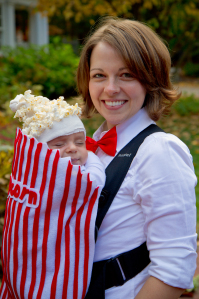 When done right, food and drink themed getups can be some of the most fun and original Halloween costumes. 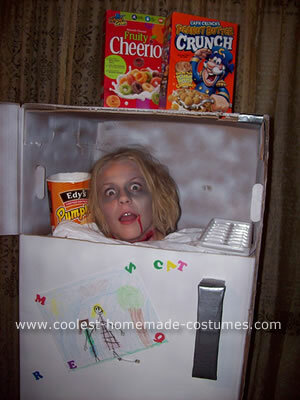 So, we’ve gathered a list of the best food and drink related homemade Halloween costumes. 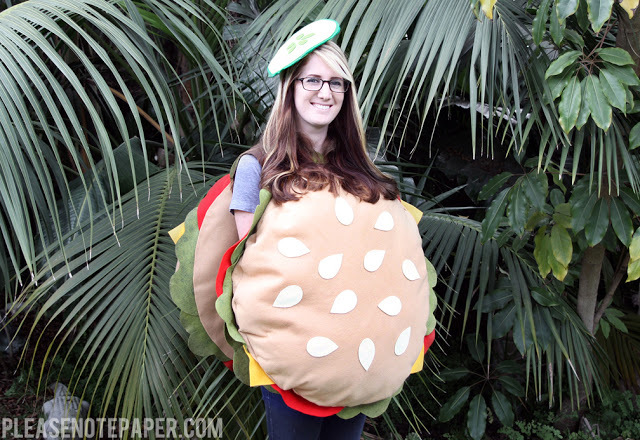 Hamburgers are one of America’s most popular foods – so why not dress up as one for Halloween?! There’s no good reason not to really. 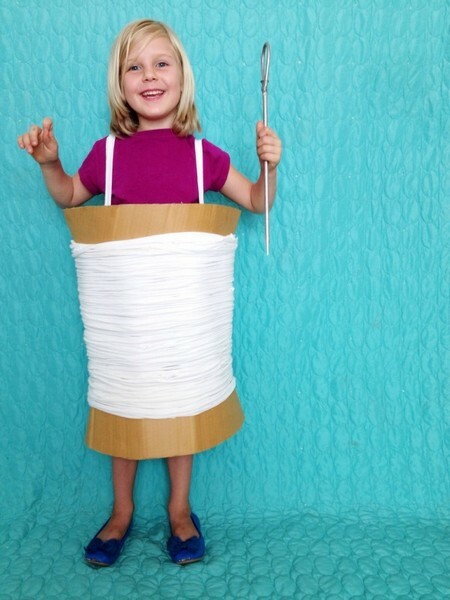 This fun and quirky costume is easy to make, and pretty cheap too. 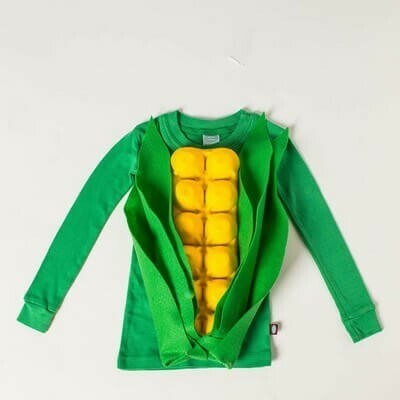 This ear of corn Halloween costume is easy to make, and, let’s face it, it’s a pretty funny getup too. Find out how to make it here. 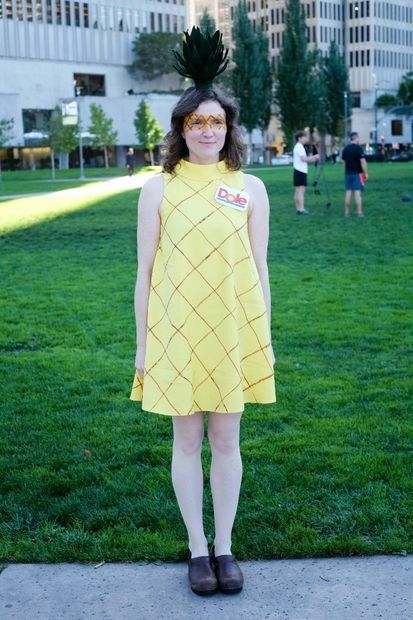 Why not dress as a pineapple for Halloween – it’s lighthearted, cute and quirky. 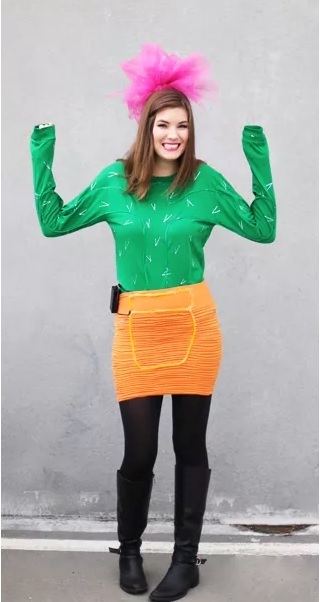 And, creating this pineapple costume is super easy to do as well – take a look at this tutorial to learn more. 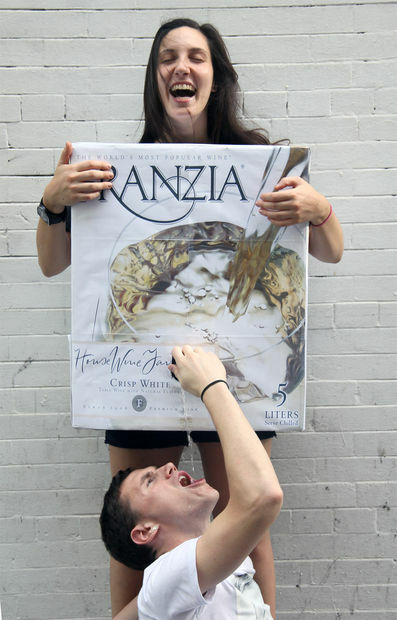 Amusing and interactive, this box of wine costume is perfect for Halloween parties. Follow this detailed tutorial to create this costume. 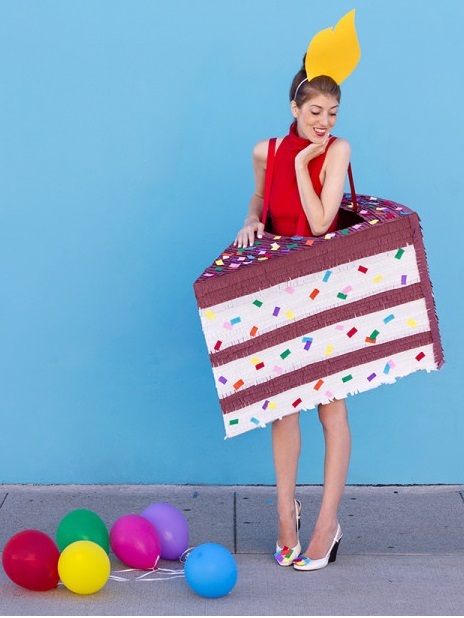 This charming and cute DIY birthday cake costume is a great choice if you’re looking for something bright and interesting for Halloween. Whether it’s X-Men or Game of Thrones there are plenty of characters in TV shows and movies that you can take inspiration from this Halloween. 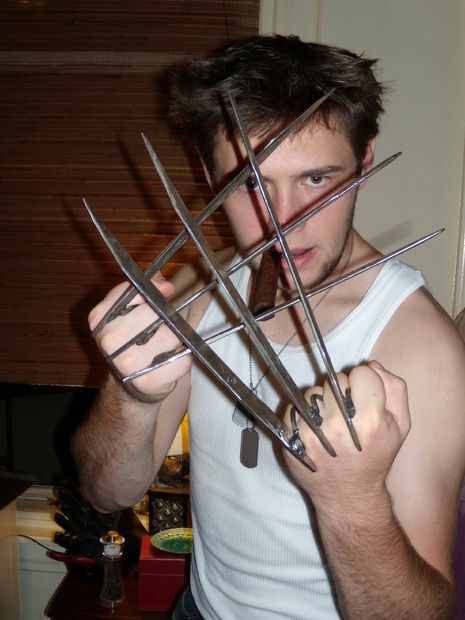 Wolverine is one of the most well-known comic book characters and using this tutorial, you can make those famous wolverine claws – and the creating the rest of the look is pretty easy. This costume is one that you can probably make with stuff you have lying around the house – with a few additions like Deb’s plastic box of accessories, of course. 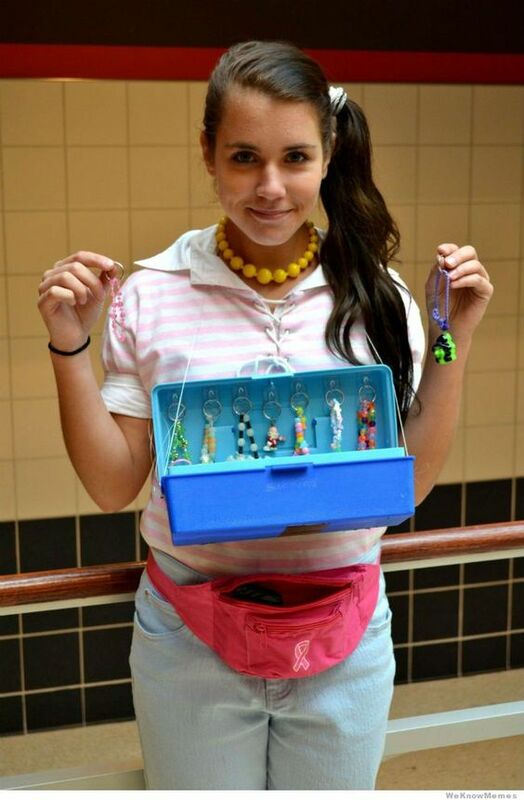 A pair of pale blue jeans, a pink and white striped t-shirt, a pink fanny pack and a beaded necklace, along with the character’s signature side ponytail, is all you need to recreate this look. One of the most famous moments in the film Mean Girls is when Regina George manages to turn her chopped up outfit into a fashion statement. It makes a pretty great Halloween outfit too. And, this costume is probably the simplest on the list. Take a regular black skirt, and pair it with a vest top – any shade of pink/purple will do. Then cut two circles out of it. 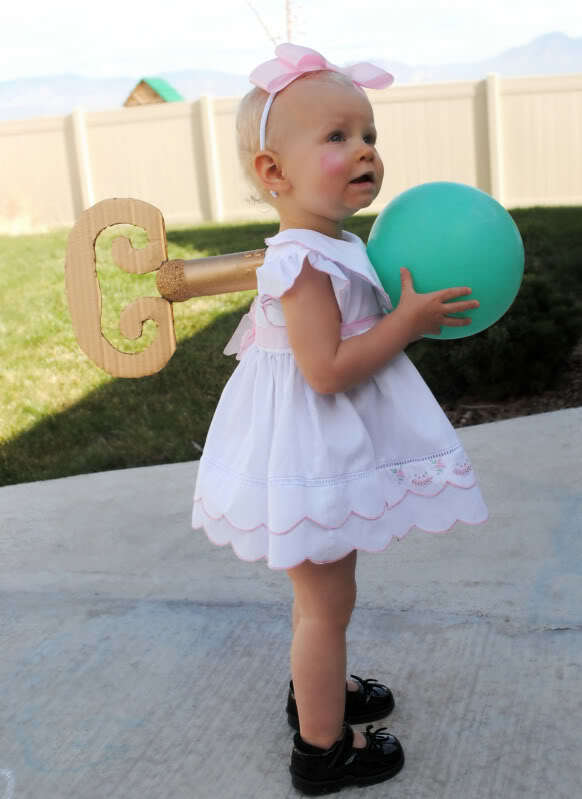 Tinkerbell is a super cute costume for Halloween. And it’s pretty easy to make at home. Check out this in-depth tutorial. 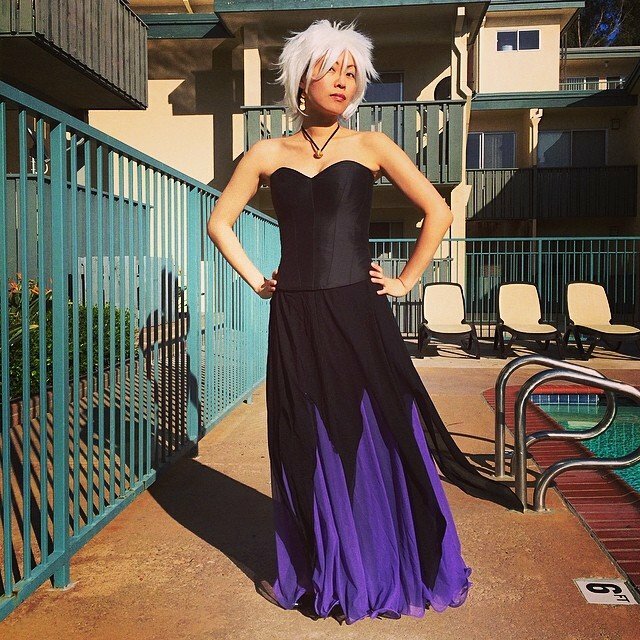 All you need to create this awesome Ursula costume is a black dress and a layer of purple fabric under it, as well as some dramatic makeup and a shell necklace. To complete the look, spray your hair white/grey. It’s a super easy homemade Halloween costume. 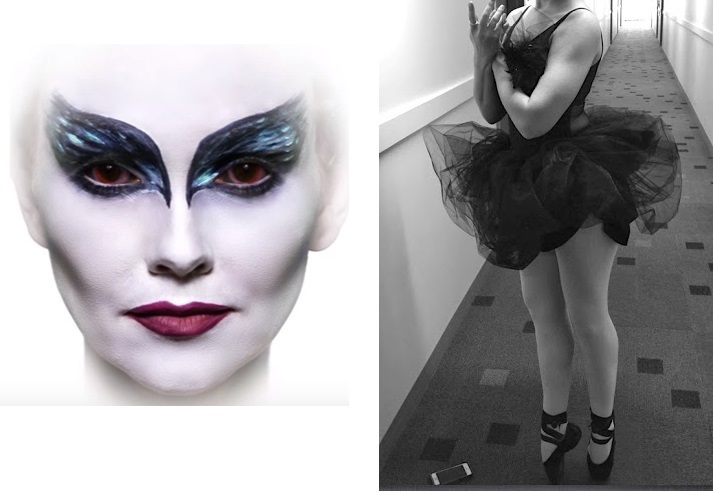 In the movie Black Swan, Nina, played by Natalie Portman, wears a beautiful black dress, paired with dramatic makeup that’s perfect for Halloween. Find out how to make the outfit here, and get the full instructions for the makeup look here. 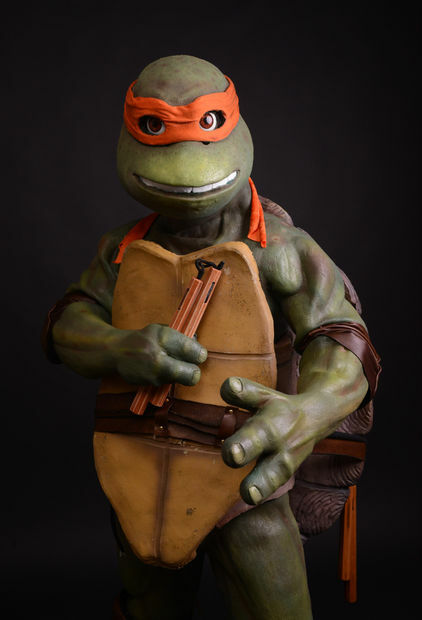 Become a Teenage Mutant Ninja Turtle with this homemade Mikey Halloween costume. This one does take a bit more time, effort and artistic skill to make, but the instructions are detailed and pretty easy to follow. Fun, sweet and bursting with energy, who doesn’t love SpongeBob Squarepants? Follow this tutorial and dress up as this well-loved character for Halloween. 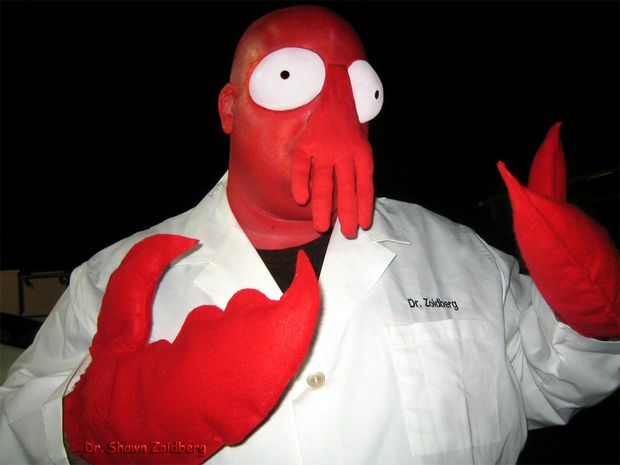 This Dr. Zoidberg costume is sure to get attention this Halloween! This well-known Futurama character makes for an excellent costume. 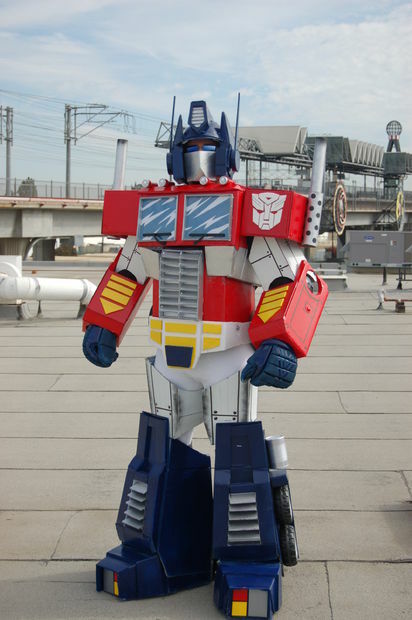 How cool is this Optimus Prime costume? If you’re a fan of the transformers, this DIY getup an excellent costume choice. You can learn how to make this costume here. You could dress up as any character from The Addams Family franchise, and it would make a great costume. 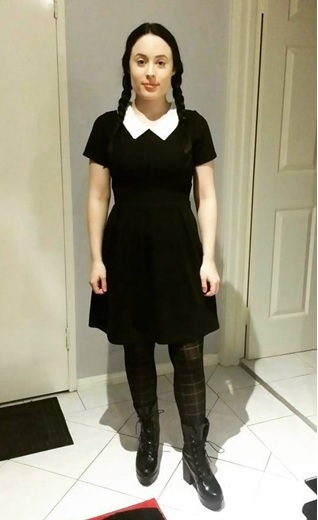 But, one of the simplest and quickest costumes to re-create is this Wednesday Addams getup. You probably have most of the items you need in your closet. Simply dress in all black, add a white collared shirt underneath, put your hair in braided pigtails and you are good to go! 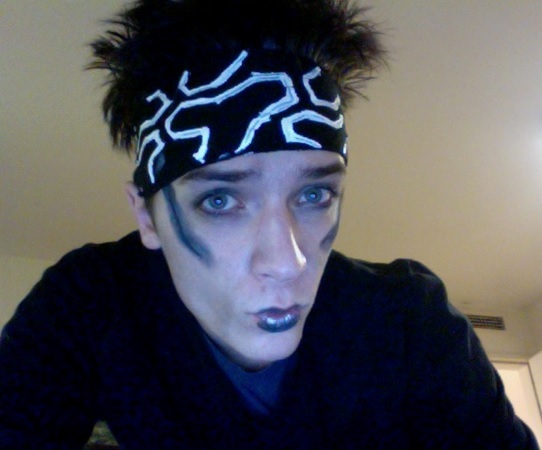 Dressing as Derek Zoolander is a great choice, as it’s so easy and cheap to re-create this look. All, you need to do is spray your hair black, if it’s not black already, and style it to match the character’s signature do. Then, all you need is a black sweater, black pants, and a patterned headband, as well as some dark eyeshadow and dark lipstick. And, if you can perfect your blue steel pout, even better! Whether it’s a zombie or a classic character from a horror movie, like Nightmare on Elm Street, for Halloween, there’s nothing better than a scary character costume. 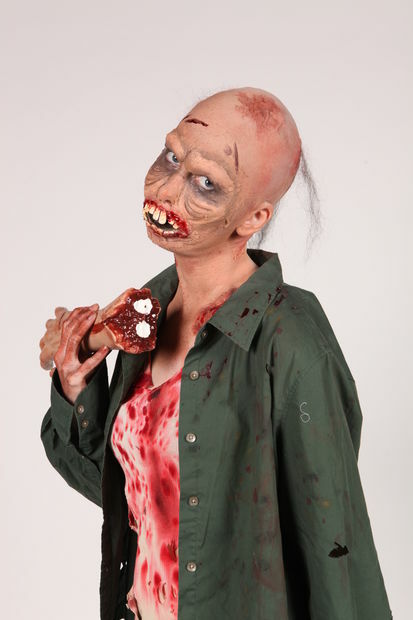 Zombies are synonymous with Halloween – and with this homemade Halloween zombie tutorial you can create a pretty scary zombie getup. 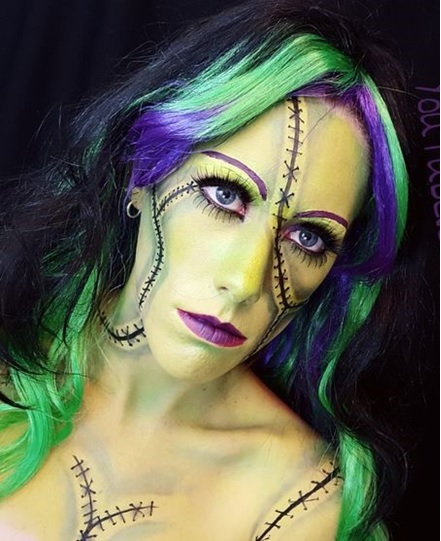 This costume is an awesome spin on the traditional Frankenstein getup. Plus, thanks to this in-depth tutorial it’s pretty easy to do. 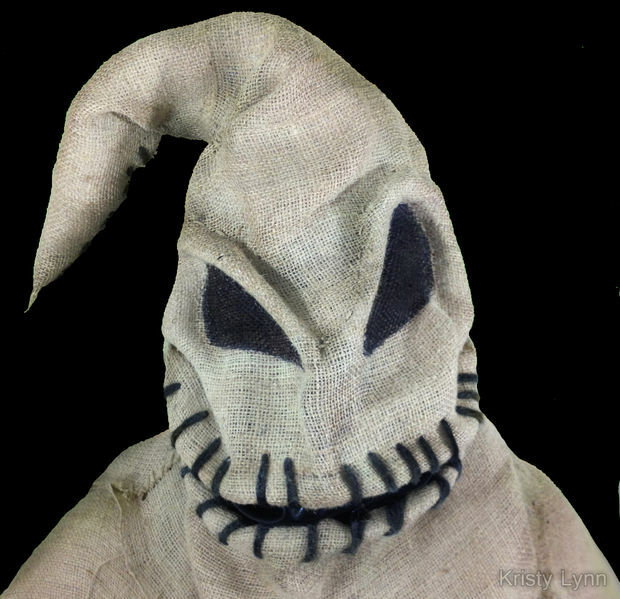 A Nightmare Before Christmas is a classic Halloween movie – so why not dress up as one of the movie’s spookiest characters, Oogie Boogie this October 31st? This fantastic outfit, which glows amazingly, is instantly recognizable and pretty creepy too – making it perfect for Halloween. Find out how to make it here. Fancy making a big statement at your next Halloween party? 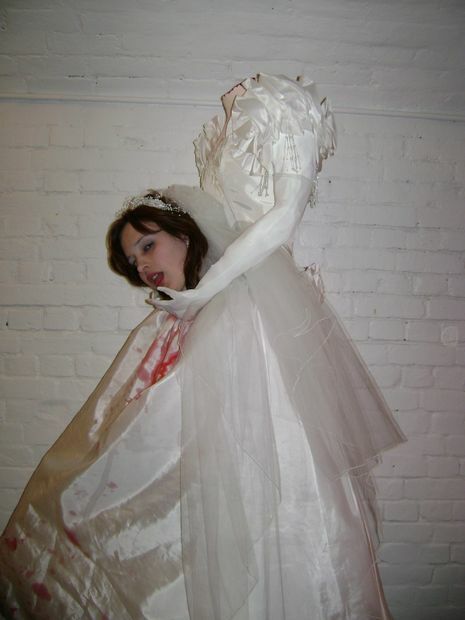 Then go for this Headless Bridezilla outfit. 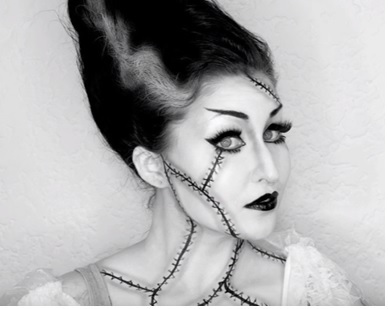 This illusion costume will have people scratching their heads it awe – especially when you tell them you made it yourself! Read the full instructions here. Check out this in-depth tutorial on how to create the makeup and hair for this look. As for the outfit, you can use any white long gown – or any white dress really. 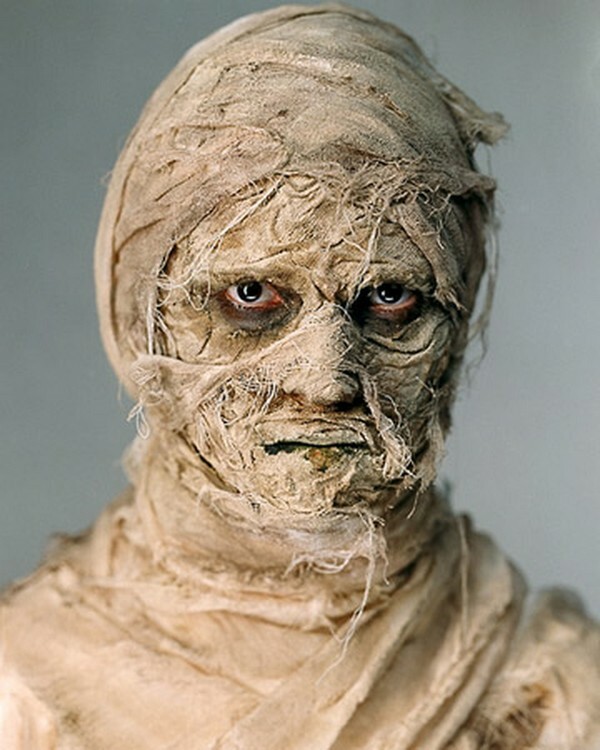 Another horror classic is the Mummy – that’s why it’s such a perfect costume. This costume isn’t too difficult to make – although it does take a bit of time and effort – find out how to make it here. Why not dress up a Chucky from Child’s Play? After all, Chucky is one of the most famous horror movie villains. 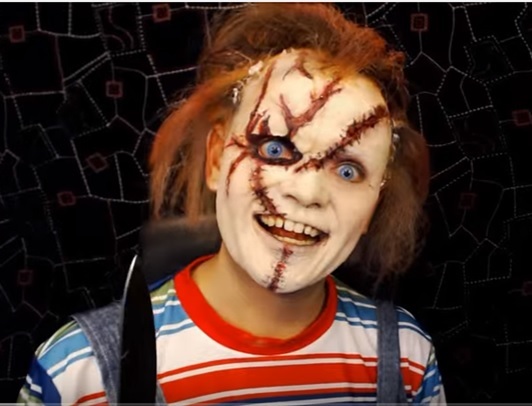 Check out this tutorial on creating a Chucky Halloween costume. And, if you’re wondering how to get Chucky’s scars, check out this detailed makeup tutorial. 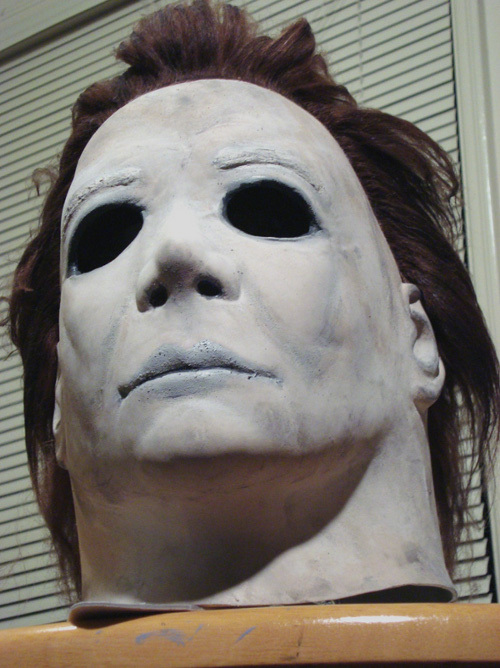 If you’re looking for a really creepy Halloween costume, then look no further than this Michael Myers getup. This Michael Myers costume tutorial is awesome – it tells you how to create every aspect of the getup, including the mask, knife, and jumpsuit! 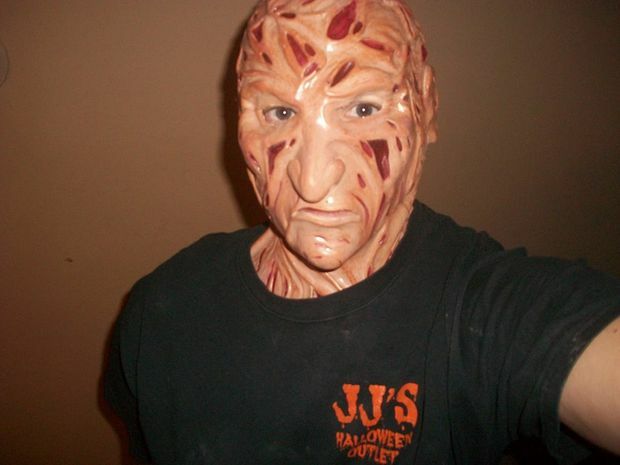 One of the most famous horror movie characters of all time has to be Freddy Krueger from the Nightmare on Elm Street series – that’s why this costume is such a great choice for Halloween! This costume comprises of quite a few different elements, including the mask, which you can learn how to make here, and his infamous glove, which you can get a tutorial for here. For piecing together the rest of the outfit, like Freddy’s iconic striped sweater, check out this article. Another iconic figure for Halloween is Frankenstein’s monster. In this tutorial, you can learn how to create his signature bolts, without spending much cash at all! 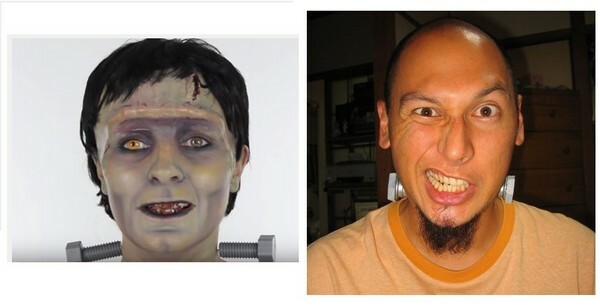 And, this detailed makeup tutorial tells you how to create the rest of the monster. Game of Thrones is an incredibly popular show. If you’re a fan of the series, then why not dress up as one of the mysterious Children of the Forest? Check out this tutorial on how to achieve this look. From artists to political figures, there are tons of historical figures that make for a great Halloween costume. So, consider giving one of these costumes a try. This super creepy Halloween outfit is sure to make an impression on trick or treaters! And, it’s not too difficult to make either. Just take a look at this simple description. 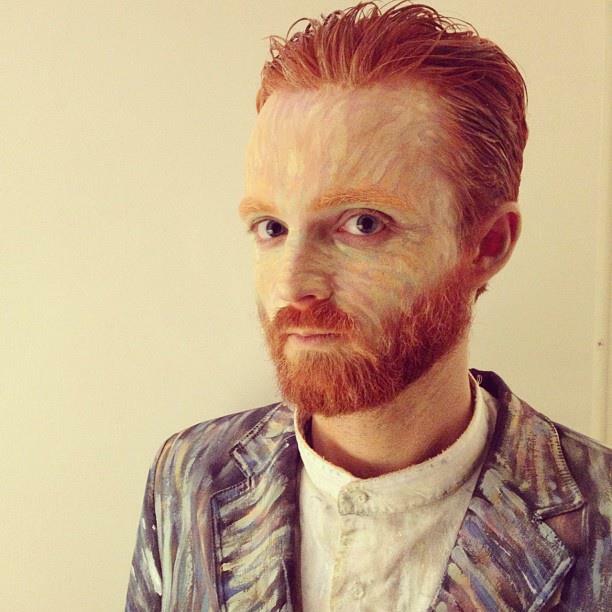 If you’re into arts and culture, then why not dress up as one of its most famous figures, Vincent Van Gogh? Whether it’s Mortal Combat or Fallout, video games are filled with characters that you can take inspiration from for Halloween – so if you’re a bit of a gaming fan, then consider one of the following costumes. 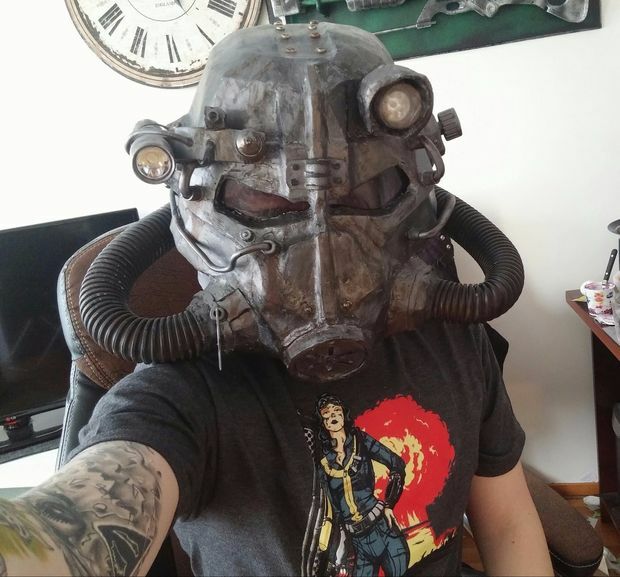 If you’re into games, then why not make this T-45D Power Armor Helmet from Fallout 3? The instructions on how to make this helmet are pretty clear and easy to follow, but you’ll need a bit of artistic talent to make it. If you’re a fan of the Metal Gear Solid series, then why not dress up as Snake Eater from Metal Gear Solid 3? Check out this tutorial. 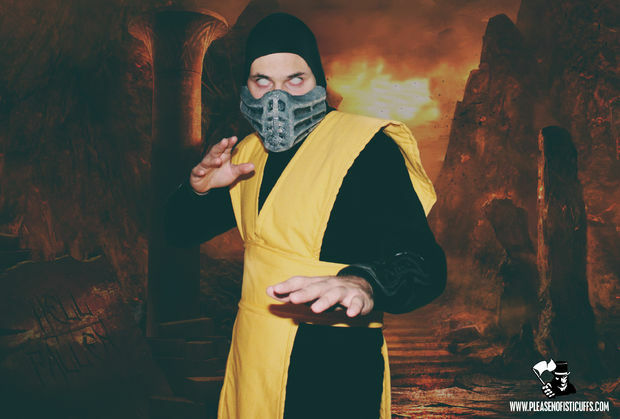 Another great video game character to dress as for Halloween is Scorpion from Mortal Kombat. Find out how you can create this Halloween costume here. 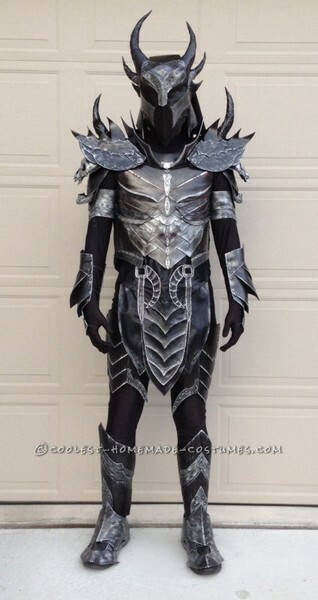 This Skyrim Daedric Armor costume is a real show-stopper. So, if you’re looking for something dramatic for Halloween and you’re a fan of the Skyrim series, then you should definitely consider this outfit. Plus, you can get all the details on how to make it here. 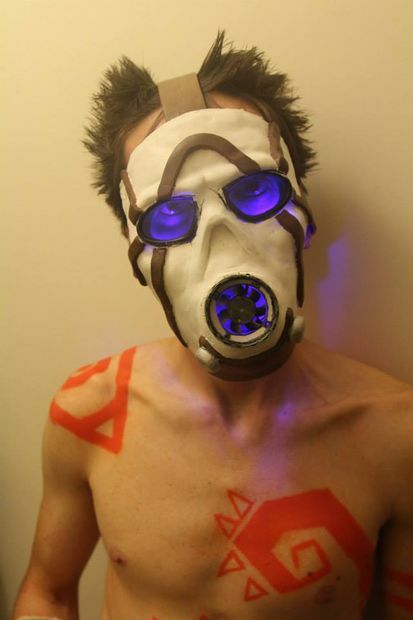 Of course, this isn’t the easiest costume to make on the list, but it’s pretty awesome! With its cell shaded-style and fast-paced gameplay, Borderlands is a fun game to play – and one character that’s ubiquitous with the game is the Psycho. It’s a great costume for Halloween – so check out how to make it here. This costume does take a bit more artistic skill to make than some of the others on the list. 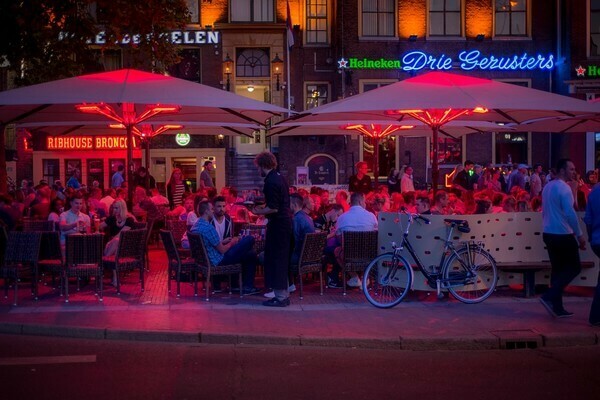 Halloween is the perfect night to unleash your creativity, and dress up as something random! And, that’s just why this collection of costumes is – random! So, if you’re struggling to find a unique idea for your Halloween getup, check out these costumes. 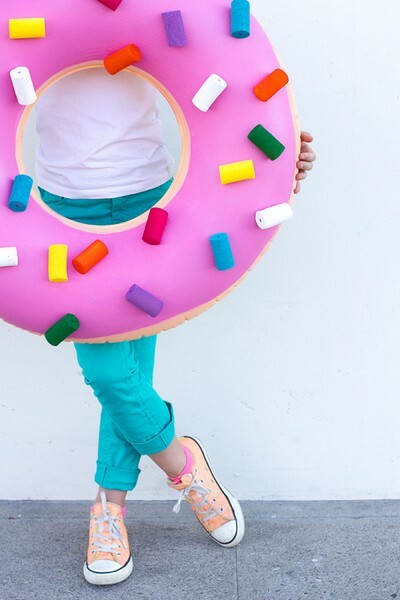 Cute, wearable, and easy to make – what more can you ask for from a Halloween costume? Find out how to make it here. There are few things in this world that are as well-known as Lego. 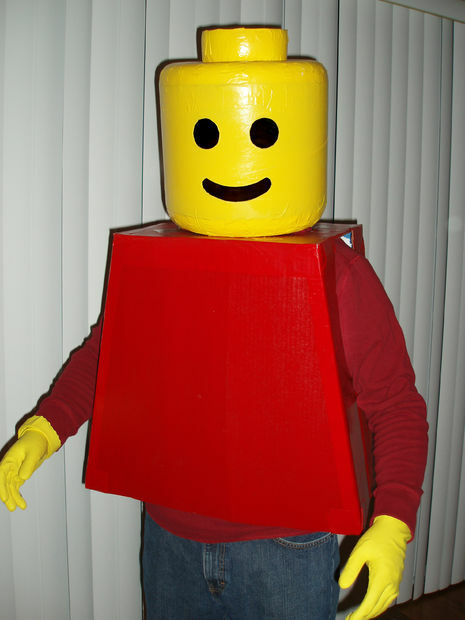 So, why not dress up as a Lego Man for Halloween? 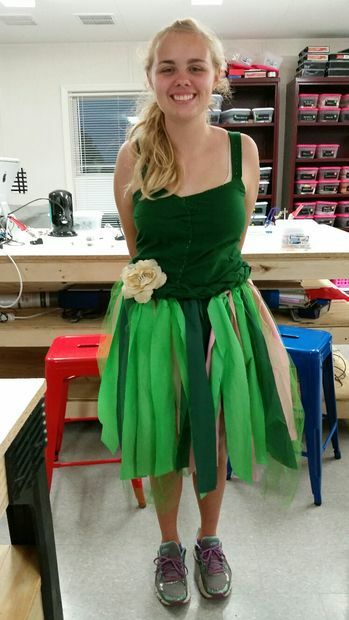 This costume is fairly easy to make at home and takes few materials – check out how to do it here. 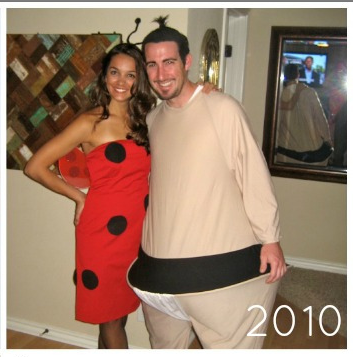 This ladybug costume is super simple and quick to do – all you need to do is get some black fabric, cut out circles from it, and then take any red dress you already have in your closet and glue these circles to it. Remember those paper dolls you played with when you were a kid? Well, now, you can actually be one. And, it’s pretty easy to do. It’s a really cool, creative costume. Here you can find out how to do it. A bath puff costume is so fun and so creative that it’s sure to be one of the best, and most talked about, outfits at any Halloween party. Plus, you don’t need many materials to make it. 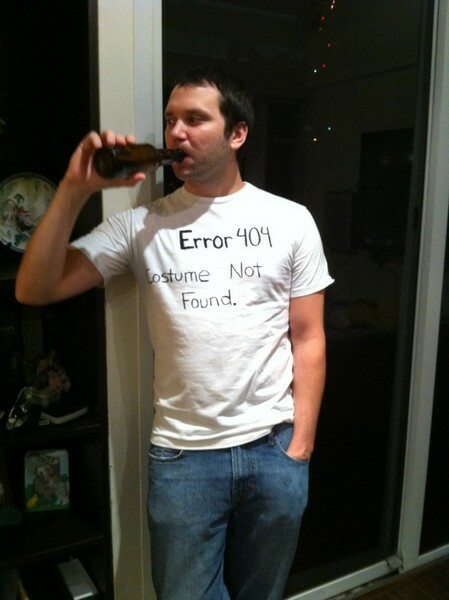 Why not make light of those irritating 404 errors with this funny Halloween costume? It’s so easy to make – all you need is a t-shirt, a pair of pants and a marker pen and you’re good to go. 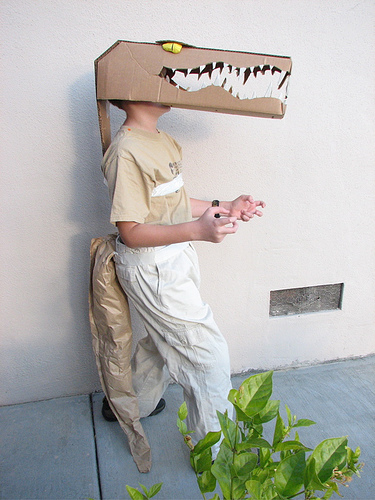 This hilarious crocodile outfit is a lot of fun for Halloween – so learn how to make this DIY Halloween costume here. The mason jar is incredibly popular nowadays, and you often see them plastered all over image-focused social media site, like Pinterest and Instagram. So, why not transform into this trendy object for Halloween? 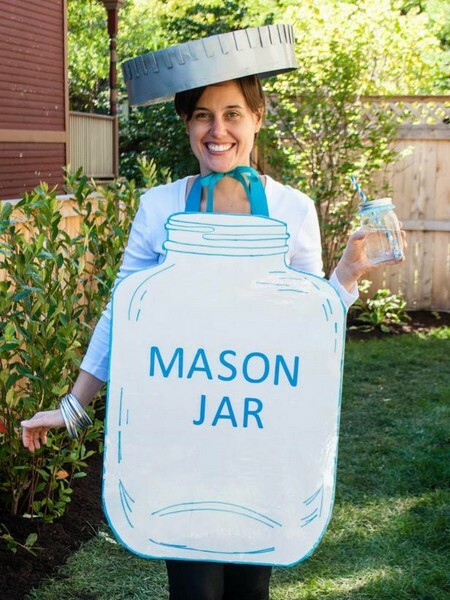 Check out this mason jar costume tutorial – it’s a surprisingly easy costume to make. The word selfie has become so popular these days that it’s now in the dictionary. 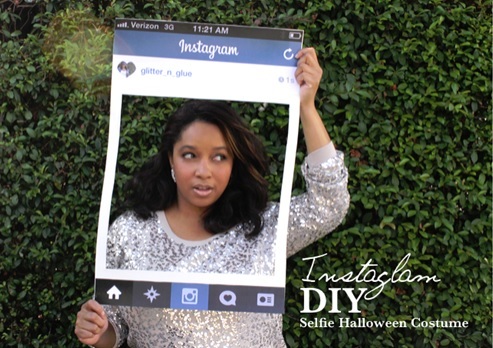 So, transform yourself into a walking selfie this Halloween, with this Instagram DIY Selfie Halloween Costume. Learn how to make this super easy and cheap Halloween costume here. This costume looks amazing and will have people wondering how you did it! 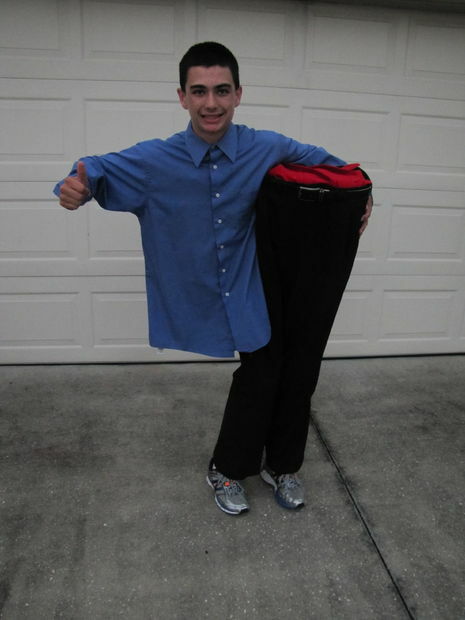 Find out how to make this funny man cut in half costume here. 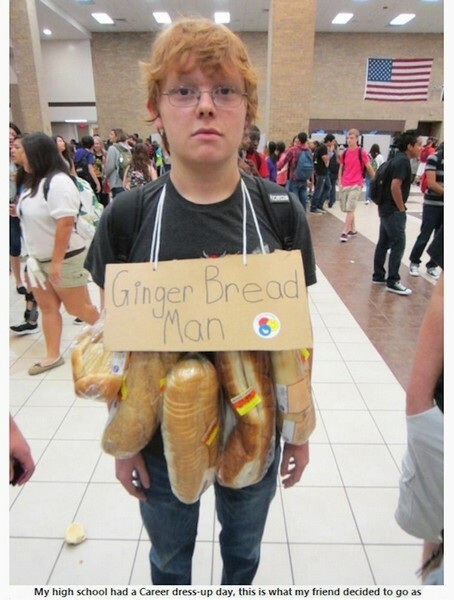 If you’re a red head and you’re looking for a funny costume, then look no further than this Ginger Bread Man costume. It’s a really simple idea, but it’s super funny! This whimsical deer costume is easy to make, and it’s one of the comfier costumes on the list. So, give it a go this Halloween. 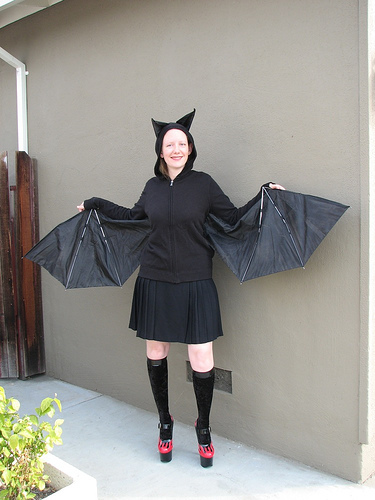 The bat is another creature that’s synonymous with Halloween – and with this tutorial, you can learn to make some pretty awesome batwings from just an old jacket and an umbrella! This is such a cool costume idea, that’s not too difficult to make – it’s creepy, fun and unique, making it ideal for Halloween. 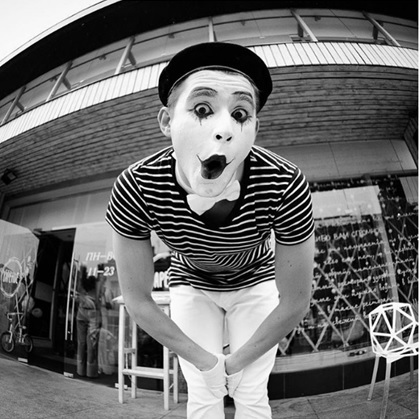 The mime is one of the world’s most famous and iconic characters, so why not dress up as one this October 31st? It’s really simple to create this look, and cheap too! For kids, Halloween is a wonderful night where they get to dress up as whatever they want, play games and, of course, eat lots of candy! We’ve put together a list of some of the cutest, most original and super fun homemade Halloween costumes for kids, toddlers, and even babies – because they shouldn’t be left out of the fun! Kid’s love dolls and toys, so why not let them dress up as one? This Ragdoll Halloween costume is a classic – plus, it’s simply adorable. And, with this tutorial, it’s fairly easy to make. This costume is perfect for babies – it is fun, cute and super sweet. Find out how to do it here. 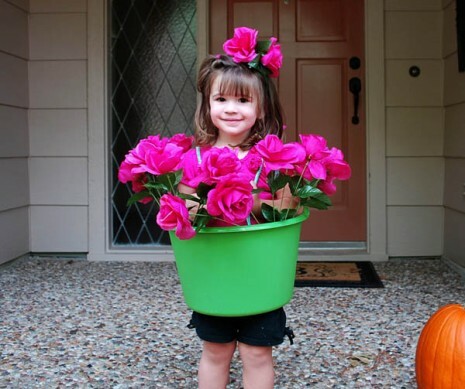 Another pretty adorable homemade Halloween costume is this flower pot girl outfit. 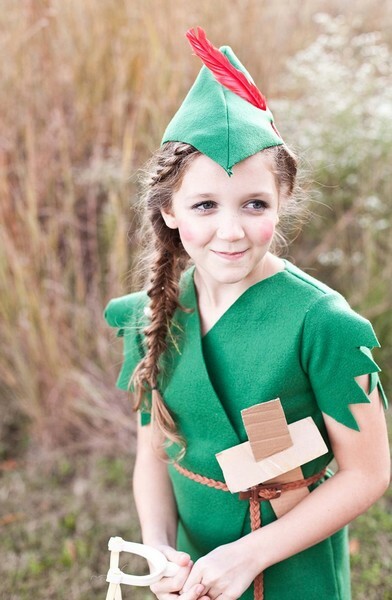 It’s a really pretty and fun costume that’s perfect for kids. 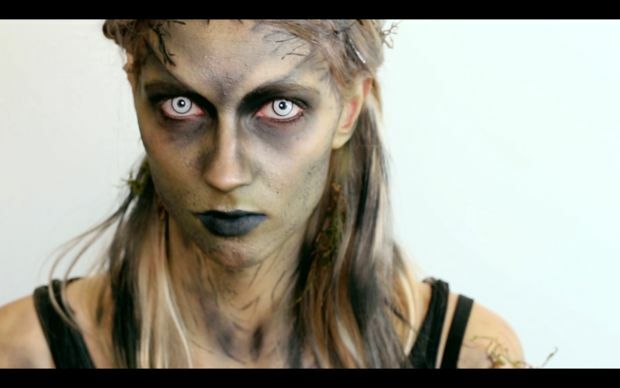 If you want to make it this Halloween, then take a look at this tutorial. This is an amazingly clever costume that’s sure to get people talking – and wondering how you made it! 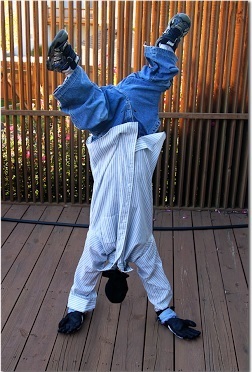 Find out how to make this upside down man costume here. 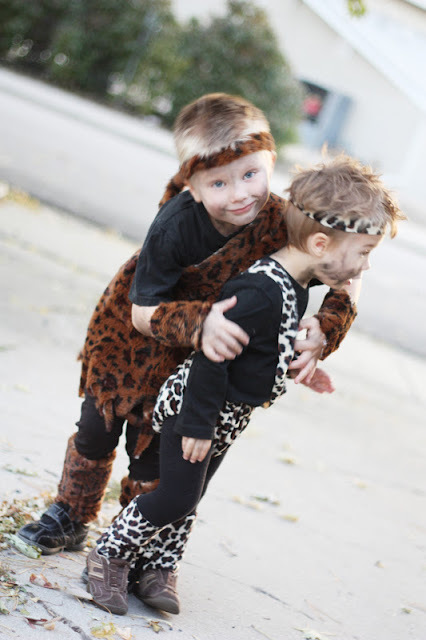 This caveman costume, which can easily pass as a cavewoman costume, is a playful Halloween outfit that most kids will love. 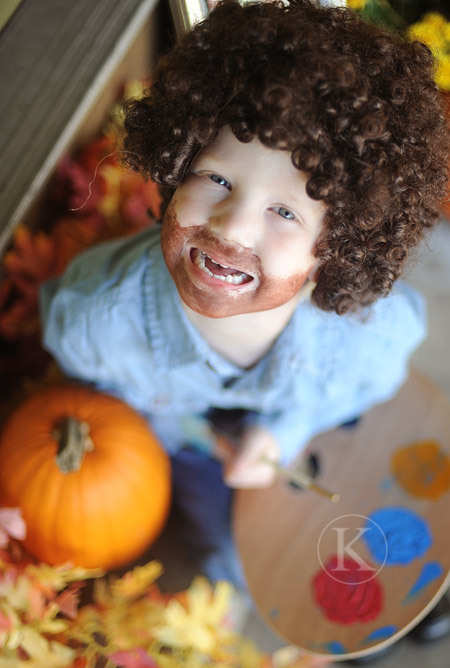 Turn your child into TV legend and artist Bob Ross this Halloween. This homemade Halloween costume is a really funny option that’s sure to get a lot of attention at any Halloween party. 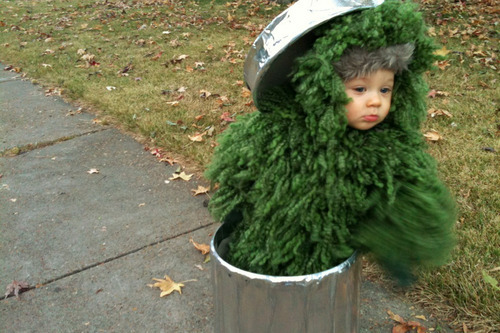 This Oscar the Grouch getup is such a cute and fun kid’s costume for Halloween. And, with this tutorial, it’s pretty easy to make as well. Andy Warhol is one of the world’s most famous artists – and his signature white hair and all black outfit are almost as famous as his works! 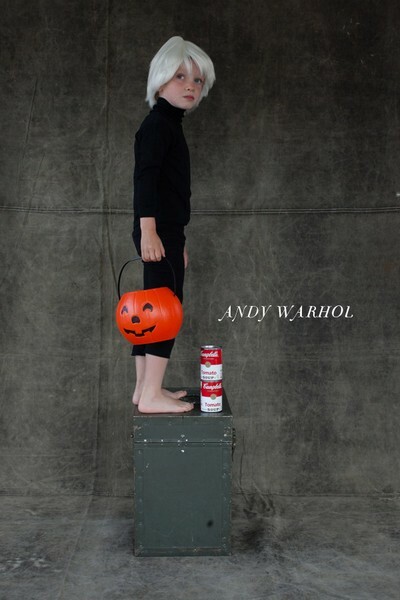 So, why not have a bit of fun and make your kid into a little artist this Halloween with this Andy Warhol costume. Find out how to achieve this look, as well as looks from other famous artists, here. 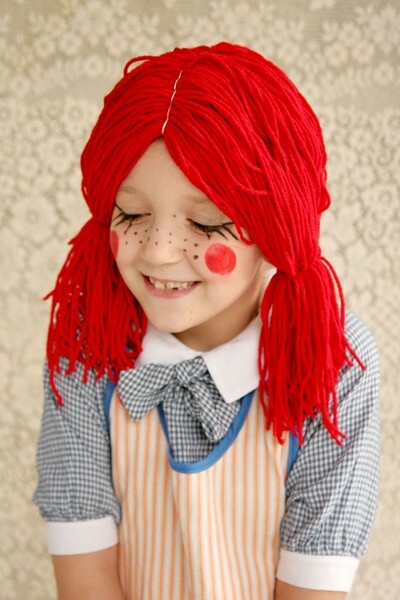 For toddlers and kids, this doll costume is ideal – it looks amazing, and it’s a great way to let your kid’s dress up as something they love for Halloween. Plus, it’s fairly easy, and cheap to make. Check out this post for the details on how to create it. Who doesn’t love Star Wars? 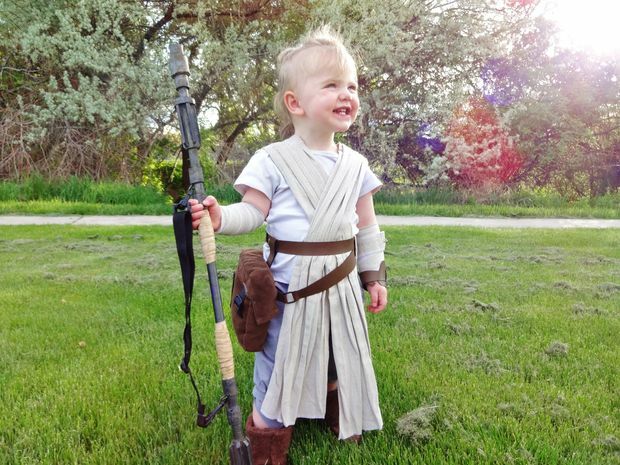 Get your child in on the fun this year with this Star Wars Rey Costume for kids. It’s a pretty sweet outfit – find out how to make it here. Original, quirky and easy to make – what more could you want from a DIY Halloween costume? Here’s a really handy tutorial for creating this outfit. Kids love arts and crafts, which is why this Watercolor Paint Box is such a great Halloween costume. 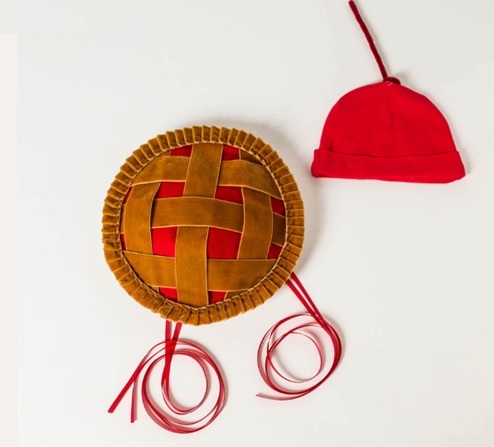 Find out how to make this arty costume here. 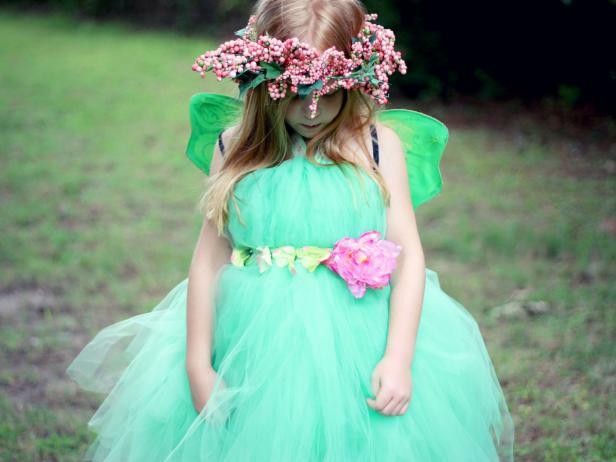 For young children, this Fairy Princess outfit is a wonderful choice for a Halloween party or trick or treating. This ethereal costume isn’t too difficult to make either – but your child is sure to feel like a Princess! The witch is a Halloween staple that never goes out of style. 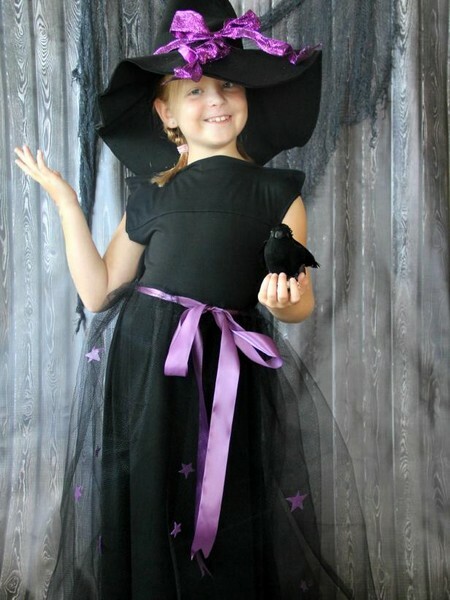 And, this kid’s witch costume is a great take on this classic character – read the full instructions here. 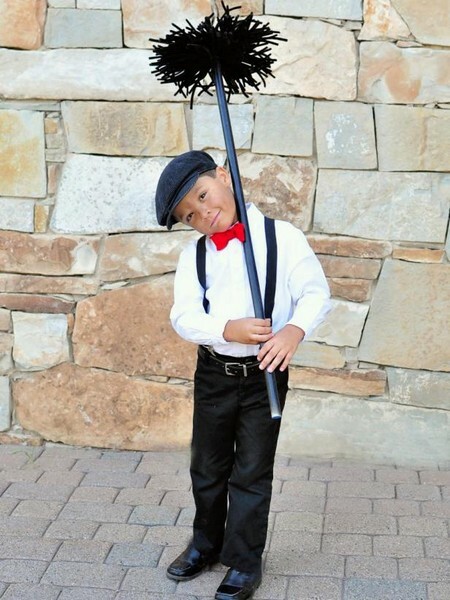 This chimney sweep Halloween costume is cute, fun and pretty adorable. Check out this really detailed tutorial on how to make it. 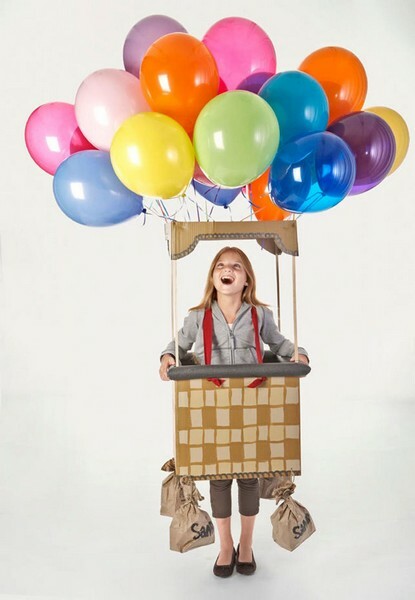 If you want a real show-stopping costume for Halloween, then look no further than this hot-air balloon getup. It’s a really grand outfit, that’s sure to steal focus at any Halloween event. Take a look at this tutorial on how to create it. 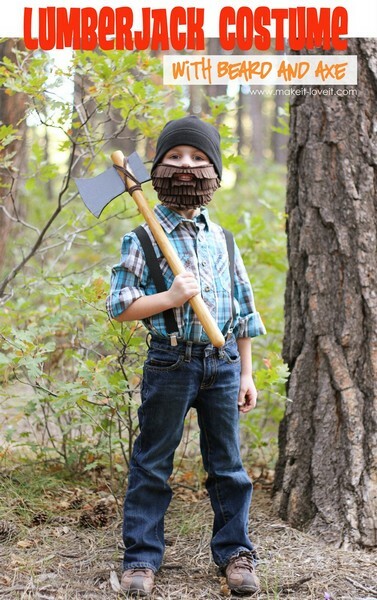 This Lumberjack outfit is a really fun outfit for Halloween. And, it’s so easy to make too, and you probably have most of the items for it at home already. Read more about this outfit here. 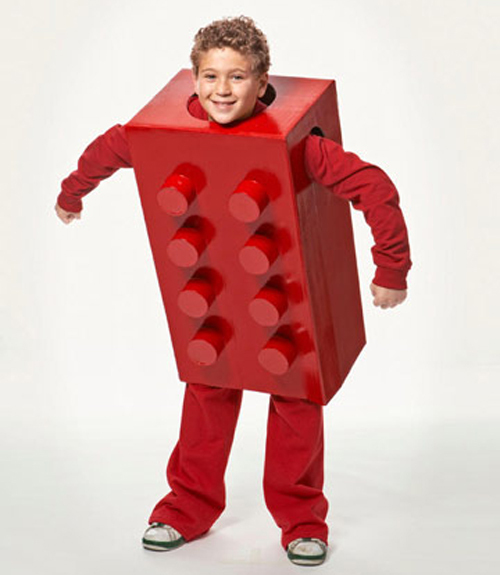 Kids love Lego, so why not dress your child up as a giant Lego piece? 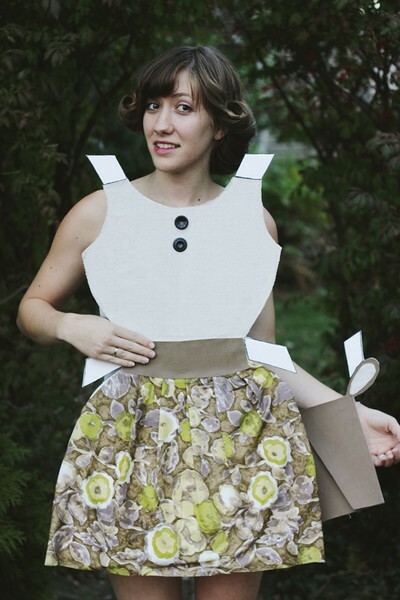 It’s a delightful costume that you can learn how to make using this tutorial. 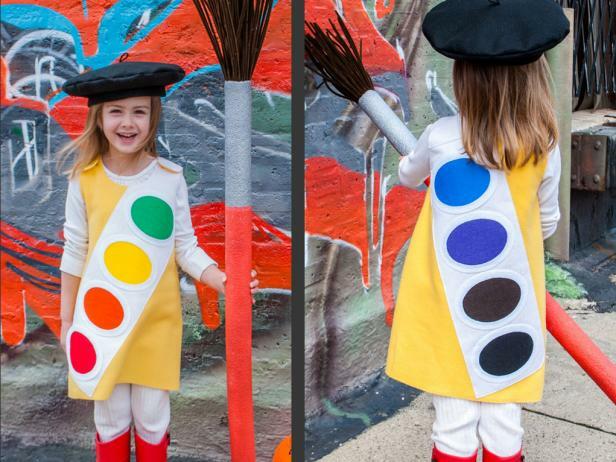 This colorful, sweet costume is perfect for Halloween. 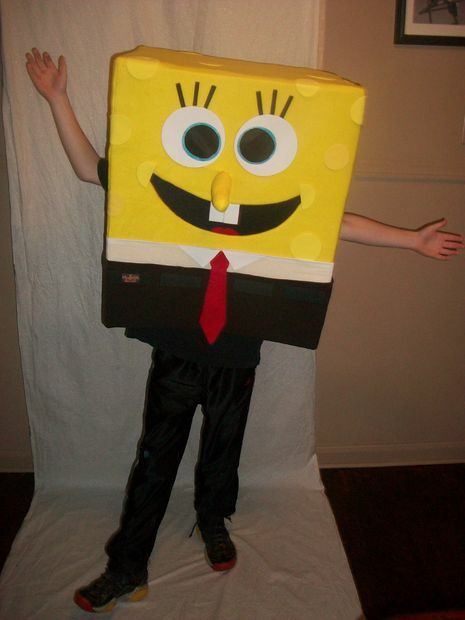 You can find out how to make this homemade kid’s Halloween costume here. 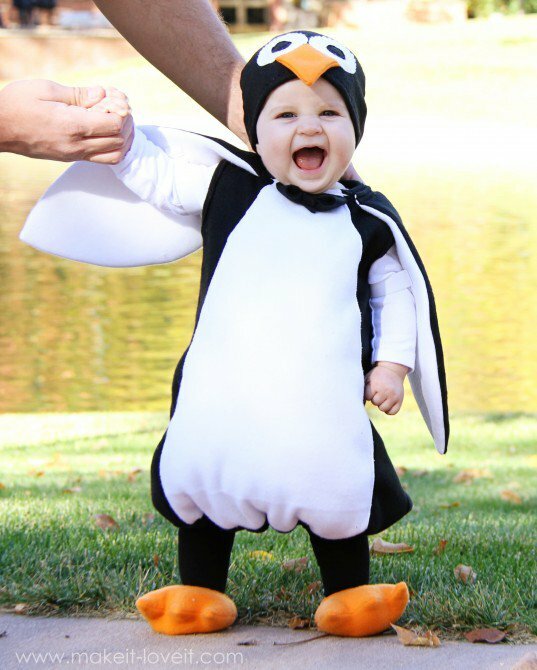 How adorable is this little penguin outfit? And, there’s a full tutorial on how to make this penguin from Mary Poppins outfit here. Peter Pan is a classic character that children adore – and with this simple tutorial, your child can transform into the Disney favorite. It’s fairly easy to make too, but it looks great. 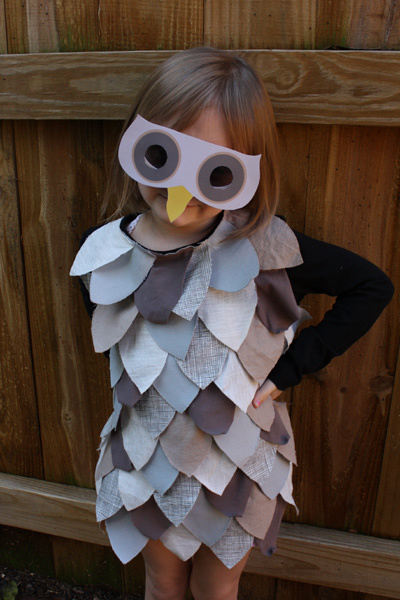 Kids will have a hoot with this owl costume. It’s easy to make and a pretty inexpensive DIY Halloween costume. 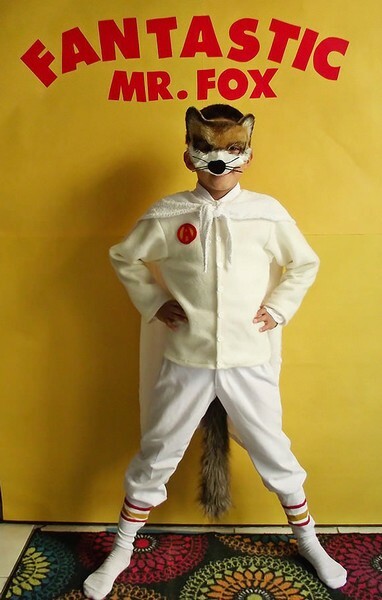 This comfy and fun Fantastic Mr. Fox getup is a super cool costume for Halloween. Find out how to make it here. 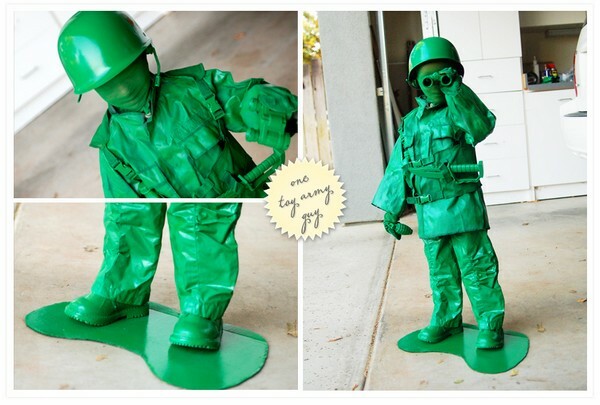 How cool is this Toy Army Man costume? It is simply amazing. It looks so incredibly realistic that’s it’s sure to make your child the center of attention this Halloween! Get the instructions here. 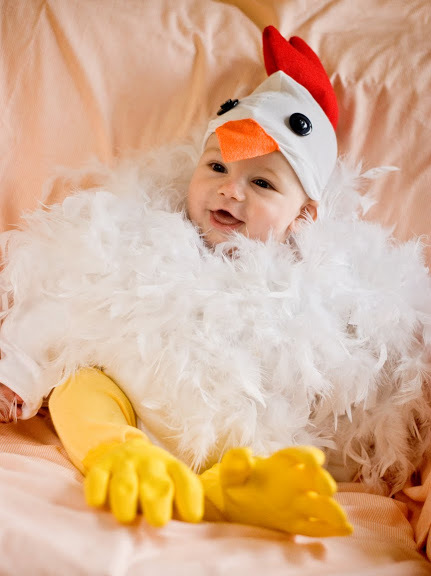 This fun chicken costume is the perfect Halloween outfit for babies. Even though it’s a simple concept, it’s a really cute outfit. 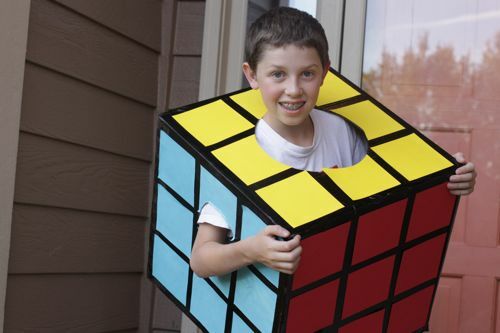 Another classic Halloween get up is the Rubik’s cube costume. For the past few decades, it’s proved to be somewhat of a Halloween staple. 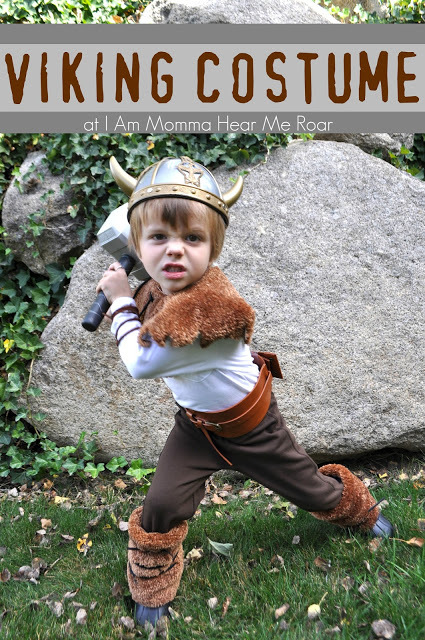 Transform your little one into a Viking this Halloween with this DIY costume. Find out how to make it here. 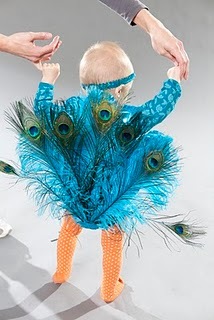 Another great costume for babies and toddlers is this beautiful Peacock costume. Check out this tutorial on how to create it. 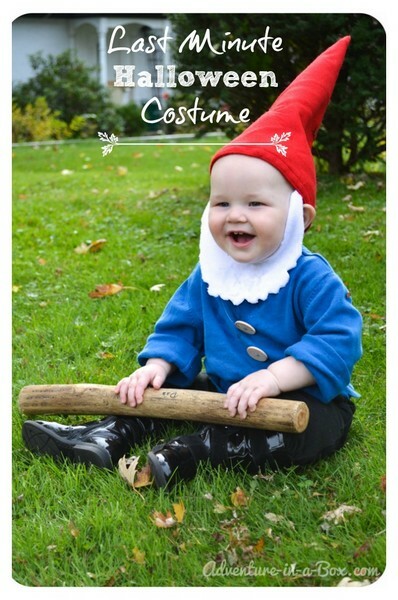 How adorable is this little gnome costume? It’s perfect for babies and toddlers, and it will definitely be a favorite at any Halloween party. Find out how to make it here. 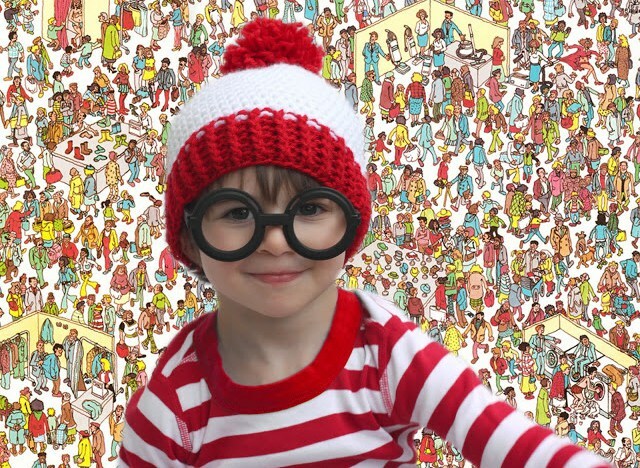 Waldo is a pretty easy DIY Halloween costume – a red and white striped shirt, a hat, a pair of glasses and black pants, and you’re good to go. Check out this tutorial on how to create the Waldo hat here. 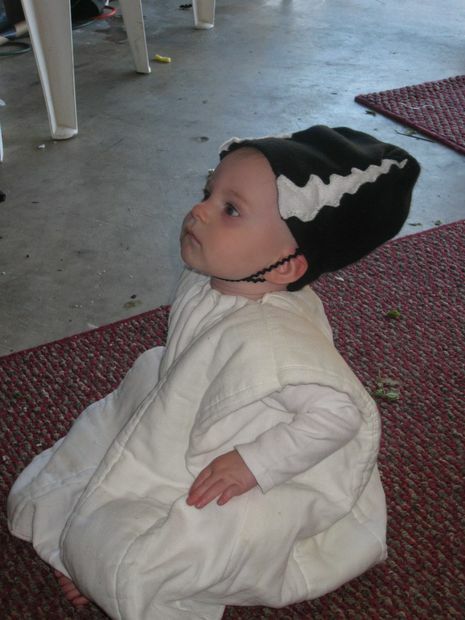 This delightful flower girl outfit is fantastic for Halloween. 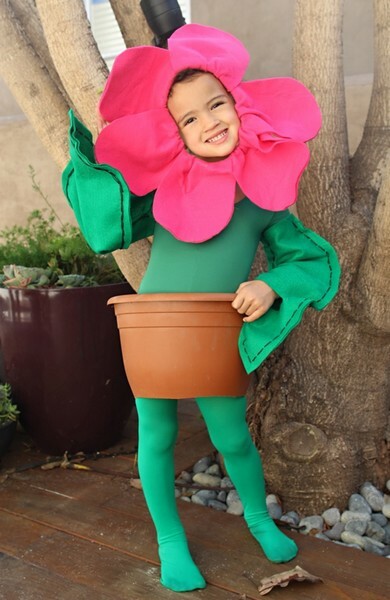 Learn how to transform your child into a flower with this tutorial. 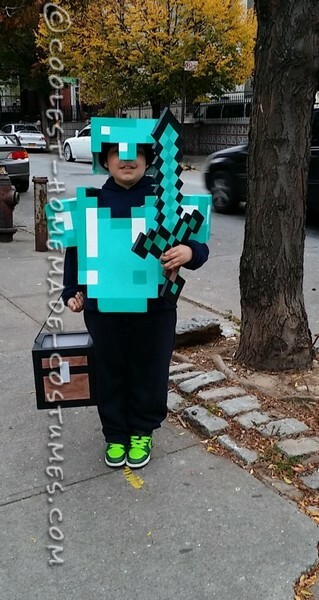 Fans of Minecraft will live this awesome costume! It’s not too hard to make either, especially if you follow this handy tutorial. 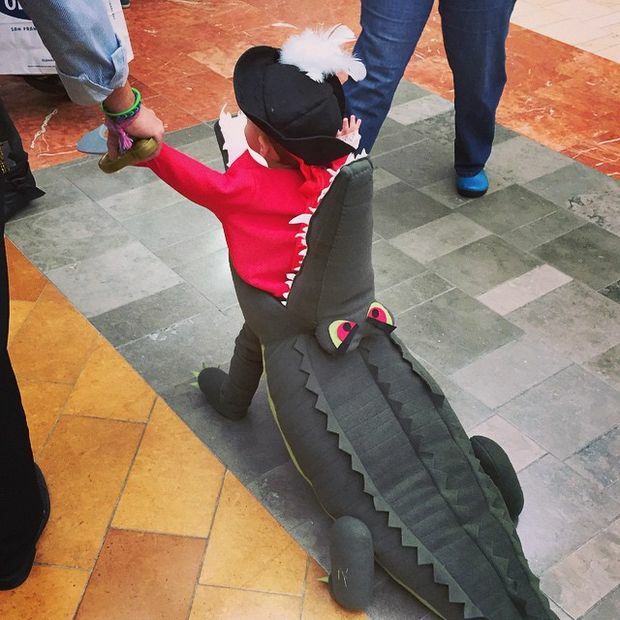 Creative, cute, and simply scene-stealing, this costume of Captain Hook being eaten by Tick Tock Croc is an all-around great outfit for Halloween. Plus, it’s not too difficult or expensive to make. 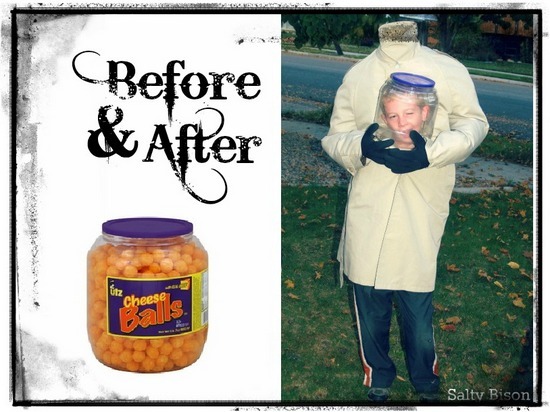 By transforming a simple empty jar of cheese balls, you can create a pretty spooky Halloween costume! This outfit is pretty easy and very inexpensive to make, but it’s a real attention grabber! 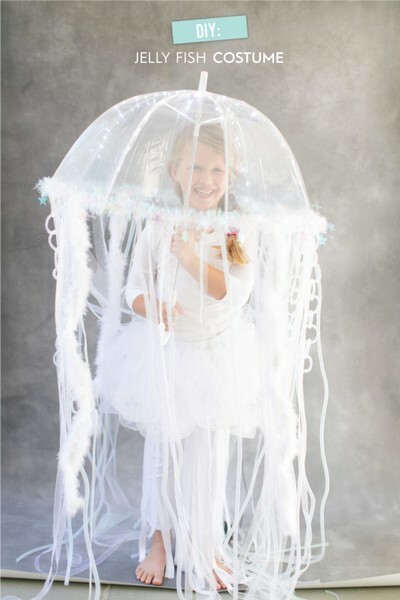 This ethereal, magical jellyfish costume is a beautiful choice for Halloween. And, the best part: it’s not that hard to make, and it lights up! 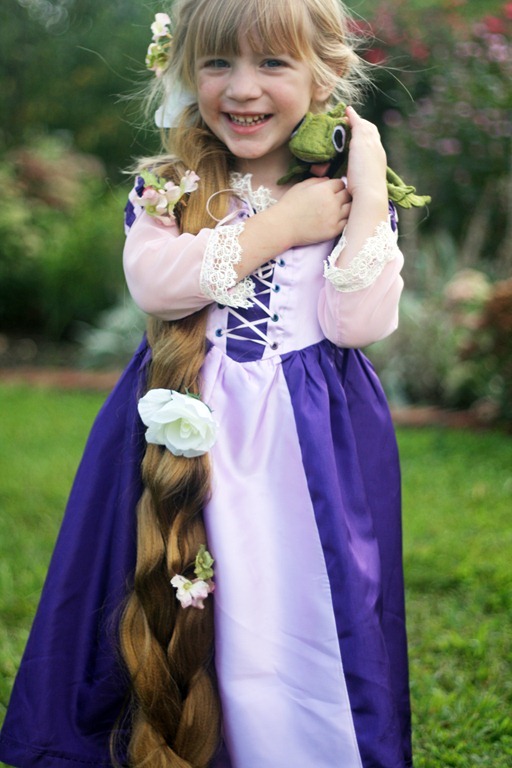 Kid’s love dressing up as their favorite fairytale characters, making this pretty Rapunzel dress a great costume choice. Toddlers and babies don’t have to miss out on the spooky fun of Halloween thanks to this cute infant Bride of Frankenstein costume. This getup is simple to make and comfy to wear, which is what you want from a Halloween costume for kids! Whether you’re going to a Halloween party with your partner or hanging out with friends, couples, and group costumes can be a great deal of fun! Here are some fun, creative and unique homemade Halloween costumes that are perfect for couples and groups! 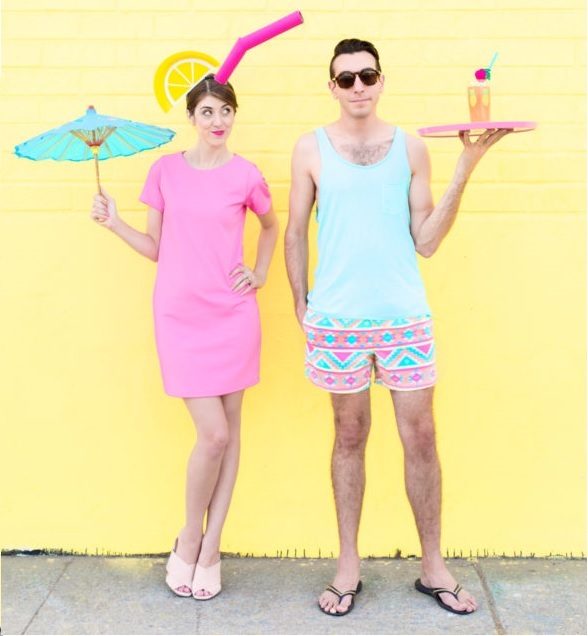 This is a fairly easy, but fun outfit idea for couples. One of you is the tropical drink and the other is the pool boy – find out more here. Dress up as a pizza boy and the pizza with this really fun costume! 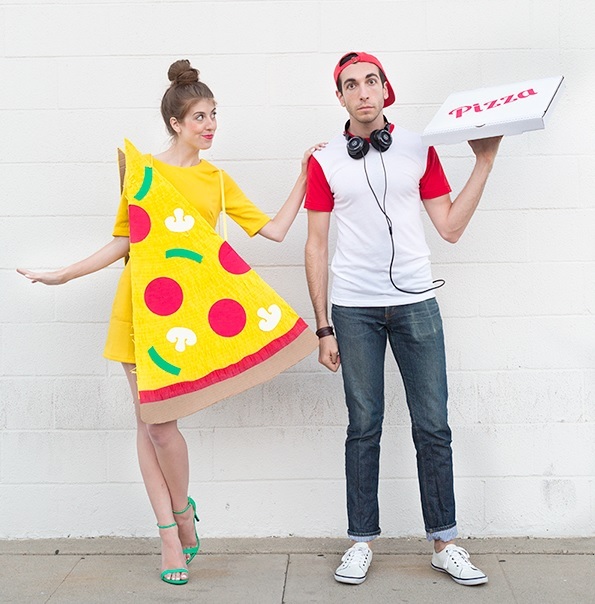 Check out this article on how to make this DIY pizza slice and delivery boy couples costume. Two of the most famous characters from the Disney universe are Beauty and the Beast. And, thanks to this useful tutorial, you can turn you and your partner into this well-known Disney couple. This tutorial requires a bit more effort than some of the others, but it looks fantastic. 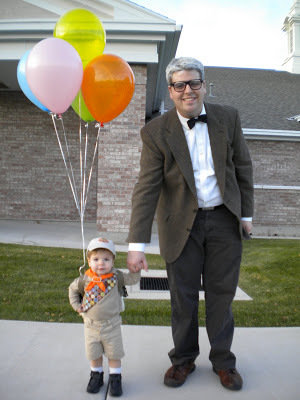 These costumes from the movie Up are simply adorable! This article shows you everything you need to know about how to make these costumes. Barbie and Ken are one of the world’s most famous fictional couples – so they make for a pretty great couples Halloween outfit. Plus, all you need are a couple of cardboard boxes and some craft supplies. 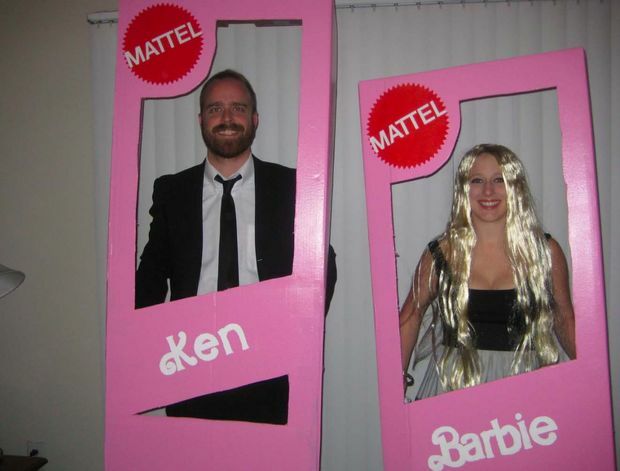 Find out how to make these Barbie and Ken in a Box costumes here. 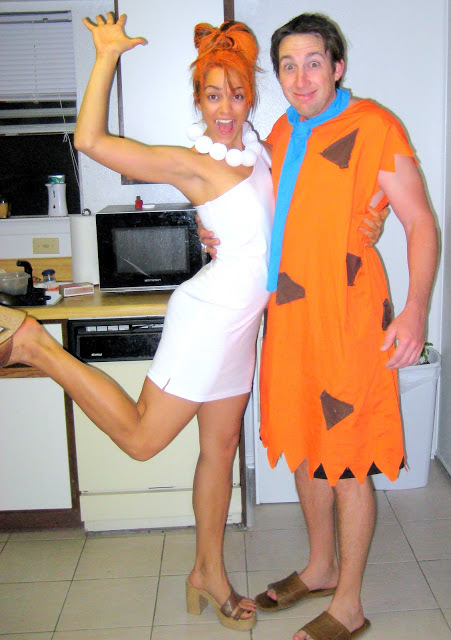 Fred and Wilma are one of the most famous pairs on the planet – making for the perfect Halloween costume. 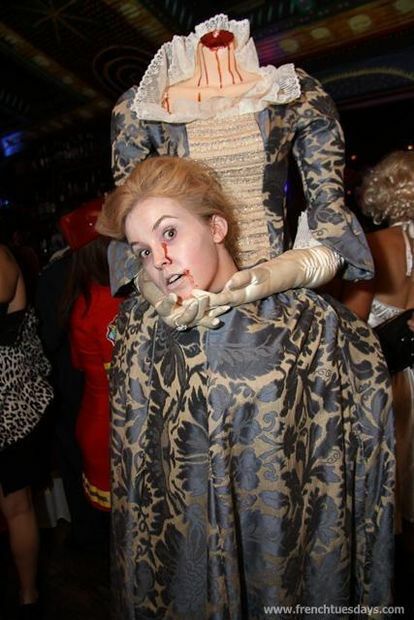 Check out how you can create this homemade Halloween costume here. 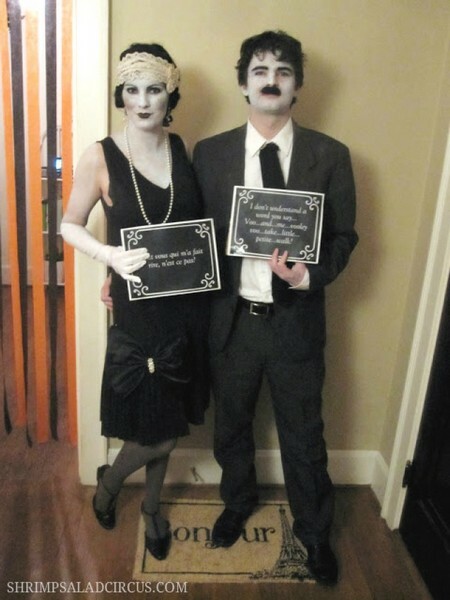 Why not get creative and go as a silent movie couple for Halloween this year. 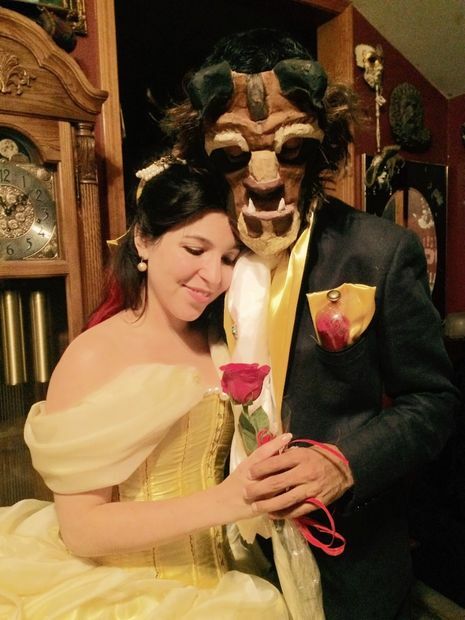 It’s a pretty unique couples costume! Funny and easy to make, this Mr. and Mrs. 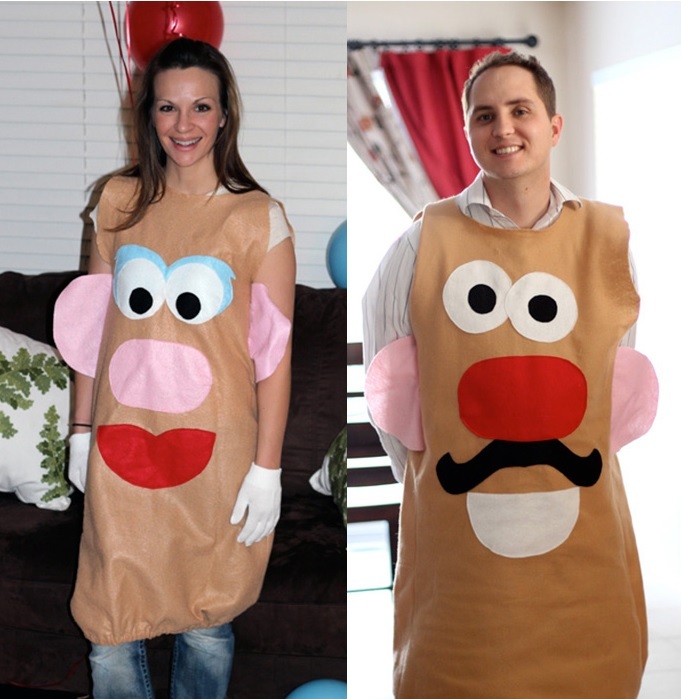 Potato Head couples costume is a great option for Halloween. Plus, they’re pretty easy and comfy to wear! With this DIY Halloween costume, the whole family can get in on the fun. 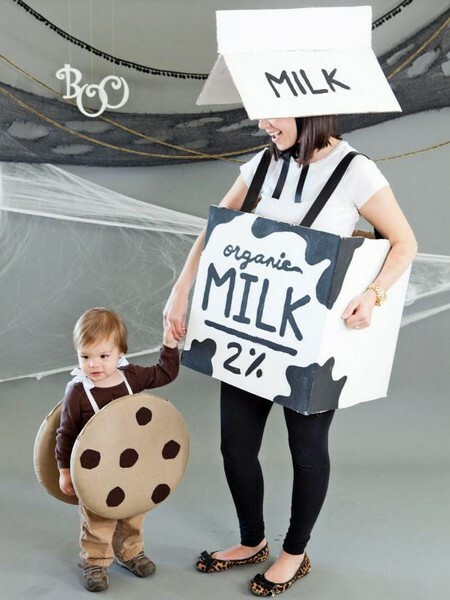 Using just a few well cut and taped cardboard boxes, plus a bit of fabric, you can create a delightful and delicious mom and child costume! This charming mom and baby kangaroo costume is perfect for Halloween. Plus, it’s super comfy for both of you. And, best of all, it’s really simple to make. At Halloween, it’s often the accessories that make the outfit. So, check out our list of homemade Halloween accessories, and see if you can pair them with something you already have at home to create an awesome costume. 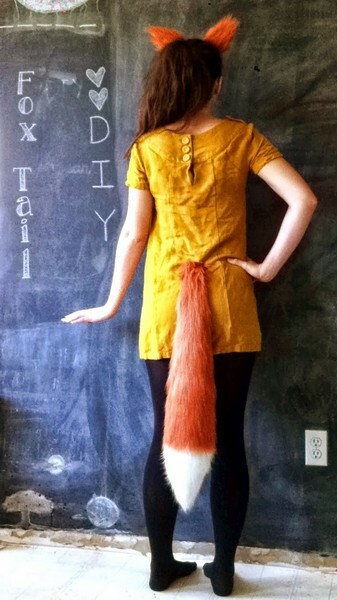 With this easy, no-sew fox tail tutorial, you’re already on your way to creating a pretty cool costume. All you need to do is add this fox tail to an orange, red or yellow dress, or a pair of pants and a top in the same shade, and you’ve got a full-on homemade fox Halloween costume! 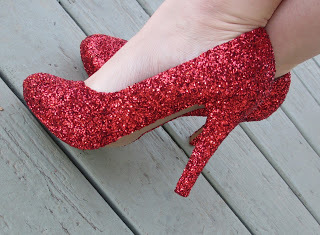 The Wizard of Oz is one of the most iconic movies of all time, and what’s the more synonymous with the movie than Dorothy’s red shoes? Learn how to make them here! 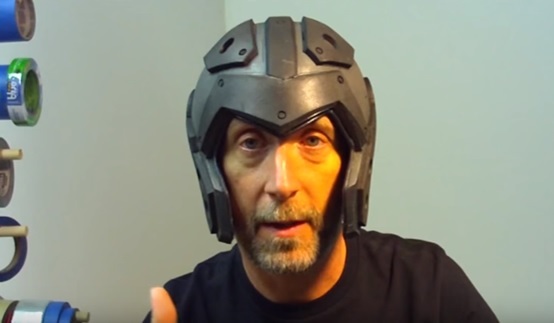 This cool foam helmet can be easily paired with tons of stuff to create a range of awesome Halloween costumes. Who doesn’t like cherry pie? Why not dress up as one for Halloween? Check out this tutorial on how to do it. These gothic, black wings simply scream Halloween. 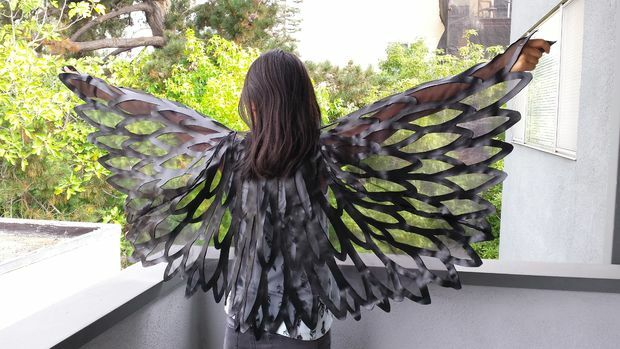 Find out how to make this amazing cloak of wings here. So, if you’re trying to figure out what costume you want to wear this Halloween, then consider making one of these homemade ones. They look great, they’re original and most of them work out cheaper than buying a costume!